Looking after our bodies and minds should be our number one priority, but sometimes life gets in the way, or we have to work all day every day to bring home the money which means that we feel we’ve earned the right to indulge in that healthy sweet treat or polish off that bottle of wine. This is a very bad habit to get into, especially when you look back and see that you’ve been doing this for years! For the sake of your own health, all you need to do is make a couple of simple lifestyle swaps. Here are some to get you going. Carbs have been touted as the enemy recently, and while there are infinitely more evil carbs in the world than pasta, making the swap to quinoa will stop you feeling less sluggish. 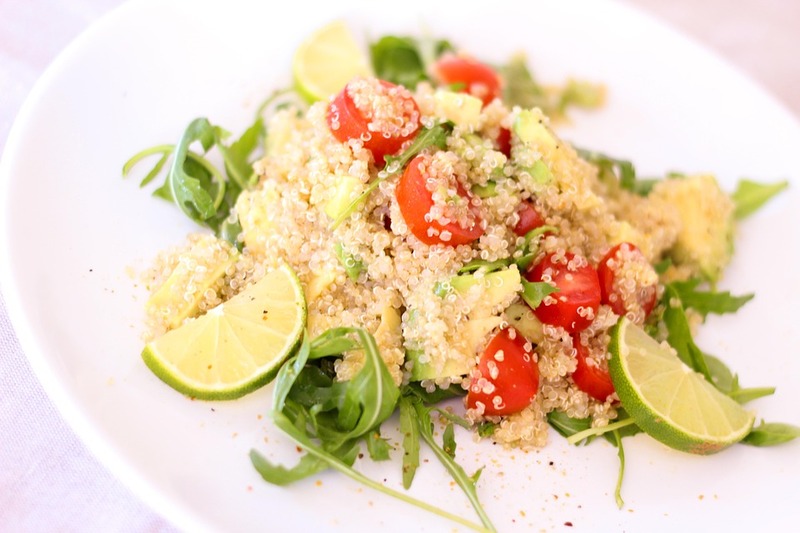 Quinoa is a complete protein, which is vital for building muscle, handy for when you’ve completed a workout, and is loaded with iron, potassium, and calcium, and also contains a small amount of fiber, which is great for a healthy digestive system. Try it instead of pasta, or as a gluten-free alternative to couscous. And for celiac sufferers, you could make a tasty chicken katsu curry with this, just use quinoa on the chicken instead of panko breadcrumbs and bake in the oven to give it that crunch. Changing to e-cigs isn’t just good for your lungs; it’s good for your wallet too! E-cigs give that nicotine hit without the tar and chemicals. A few years ago, it would have been very difficult to seek out these, and so it would have been much more convenient to get cigarettes from your local shop. But now there are plenty of vape shops popping up everywhere and online, you can find a vape shop here for convenience. It has been a very handy deterrent to giving up smoking because you can reduce the nicotine strength, so you can give up in a gradual way instead of going cold turkey. Put cinnamon in your meals – this helps to balance out your blood sugar and comes with a whole host of other health benefits. Try putting some cinnamon in your coffee in the morning and see if you have the same cravings for sugar you normally have. Use Stevia – a very popular alternative to sugar at the moment (without the crash)! Honey or agave syrup – as well as tasting deliciously sweet, honey has antiseptic properties, which is handy when you’re fighting illness. Also, a little bit of honey goes a long way, put some in your hot beverage of choice or spread it on toast. And try agave in your oatmeal instead of maple syrup.